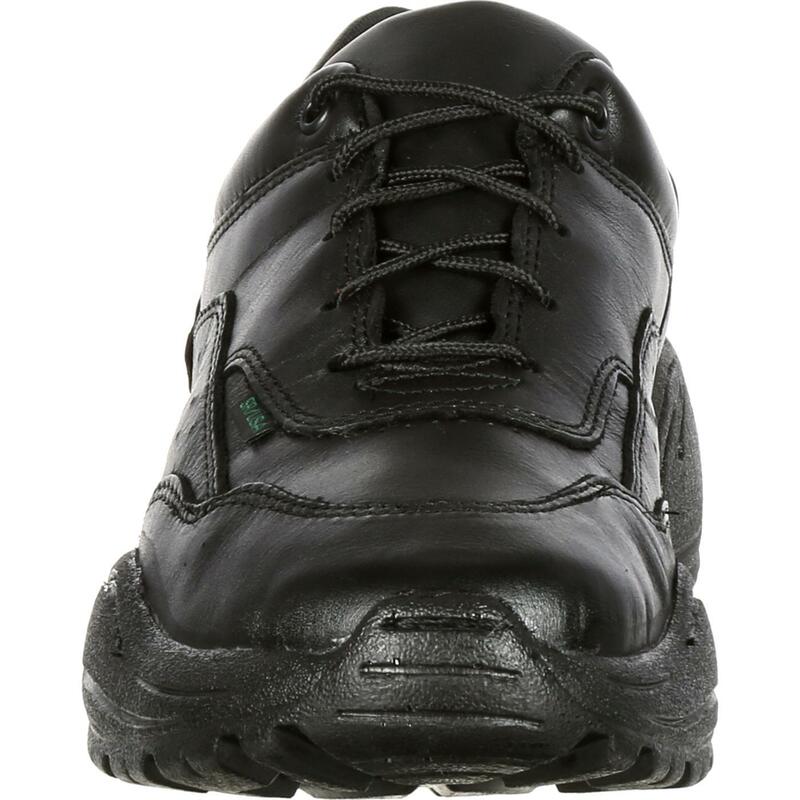 With its athletic-inspired styling, lightweight construction, and amount of slip-resistance this Rocky 911 oxford is ready for duty! The fact that it is US Postal Approved and Berry Compliant (Made in USA) just makes it an even better option for you. 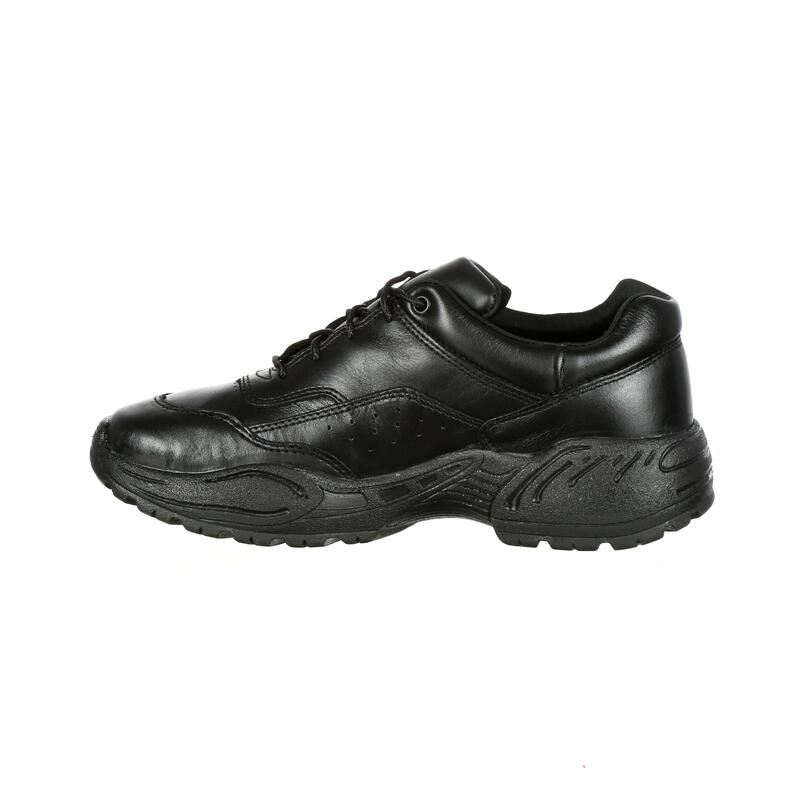 This oxford is made from top-quality materials in Rocky's own factory. 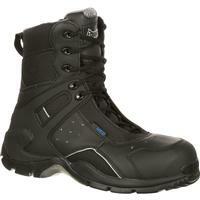 The upper has been constructed from full-grain, water-resistant leather. 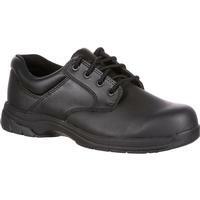 By using this leather, it makes these Rocky 911 oxford shoes polishable, and makes them extraordinary easy to keep clean. A padded collar has been added for comfort. 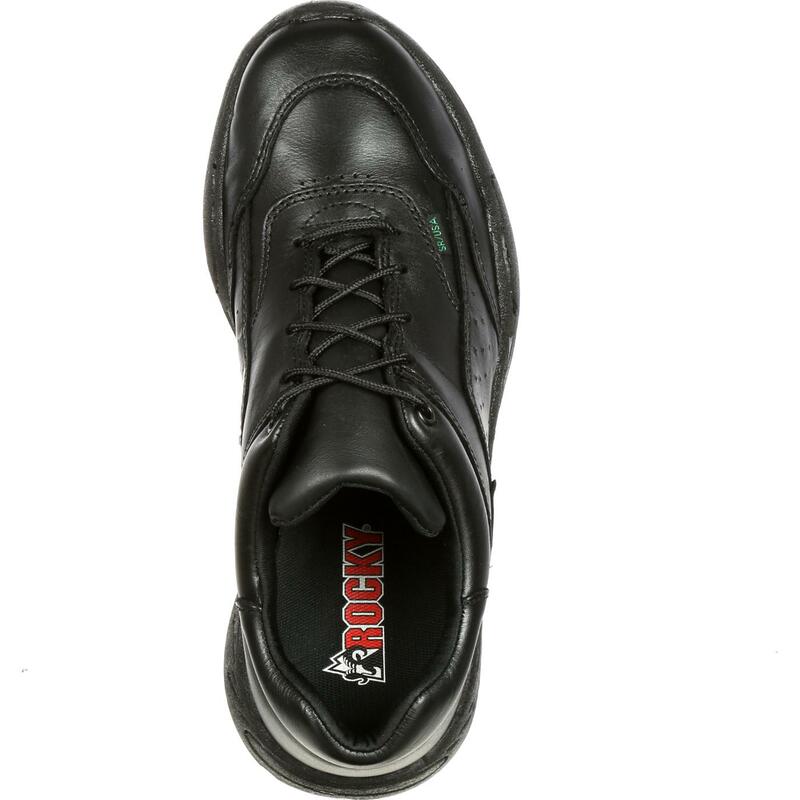 Rocky has fused together the leather upper and sole by using a direct injection process. After this process has completed, the oxford will have a super-strong bond, and it makes the shoe lighter in weight and more flexible than conventional constructions. 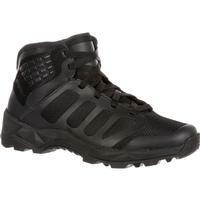 When you're active, and working up a sweat, the moisture-wicking lining draws perspiration away from your foot. 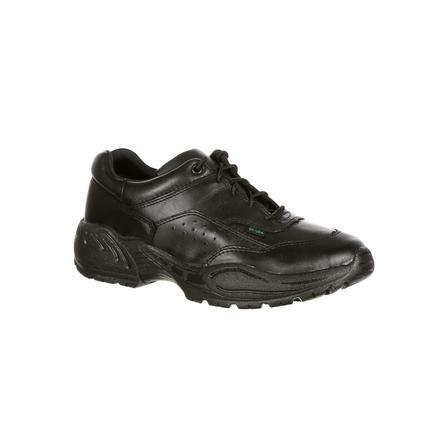 This Rocky 911 oxford has an extra thick Rocky Terra Suspension footbed, which has been inserted to cushion your steps and keep you comfortable. This footbed is made from polyurethane and is removable. 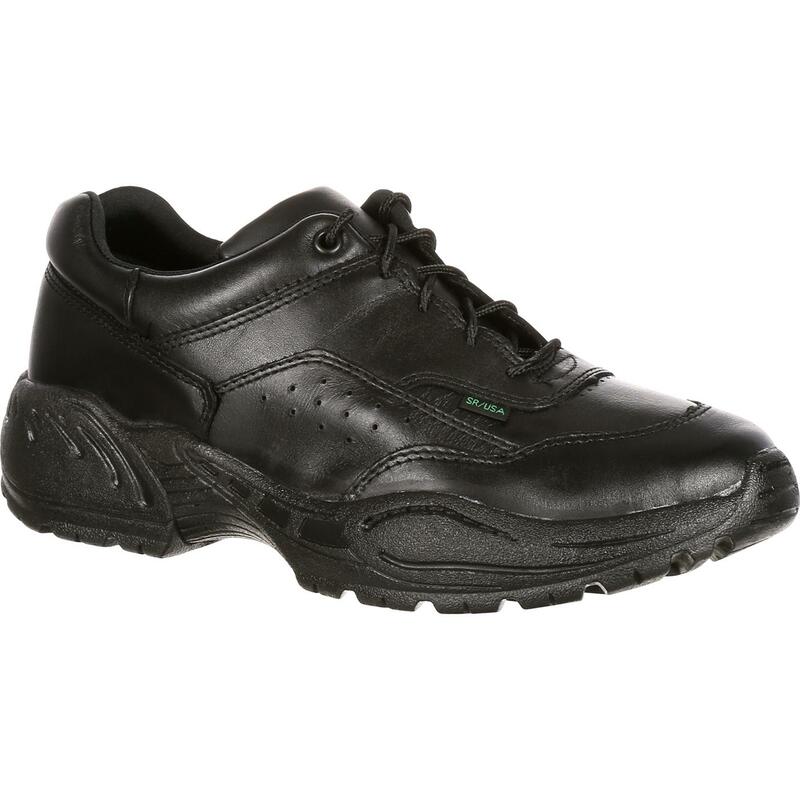 An Aegis Microbe Shield® has been added to the oxford's footbed. 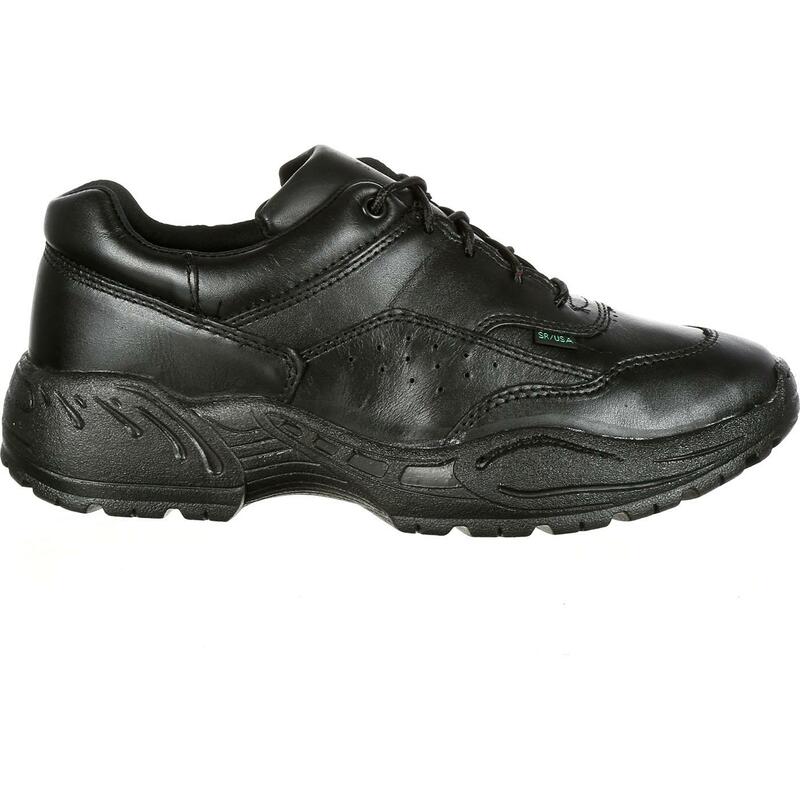 By adding this shield, these Rocky 911 oxford shoes will offer you durable protection against odor, mold, and other bacteria. 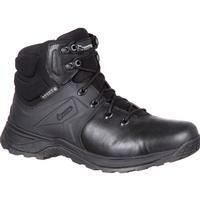 This oxford also has a non-metallic stabilizer to give you support. 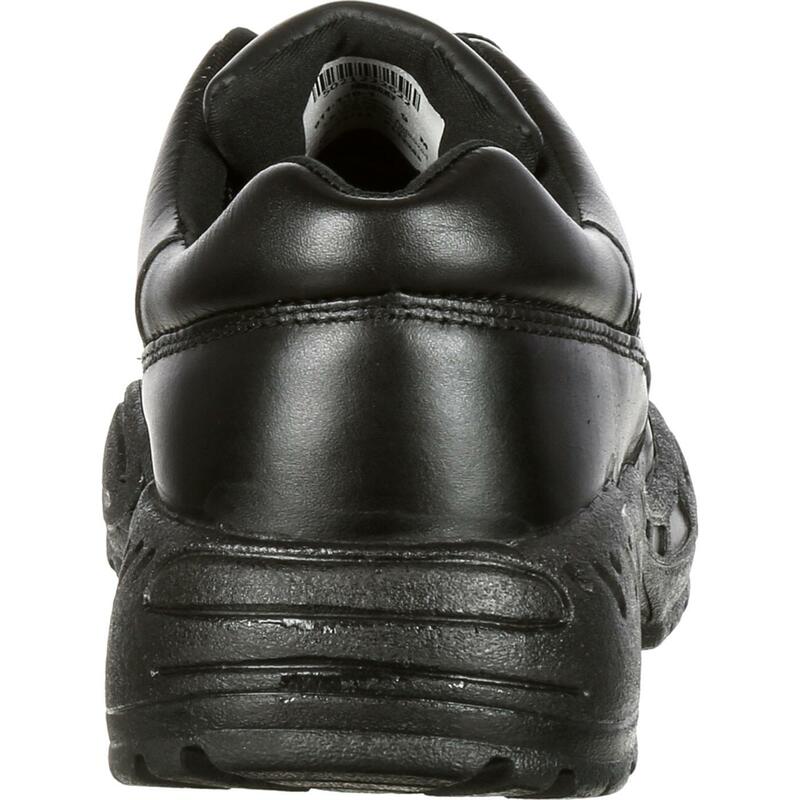 The TPU/PU outsole offers stability, is flexible, and is oil and slip-resistant. Even if you aren't employed by the United States Postal Service, this Rocky 911 will make an excellent duty shoe. Try a pair out for yourself today!